THE NEW ANGEL™ CITY IS DIRECTLY DERIVED FROM THE WELL-KNOWN AND TEST WINNER ANGEL™ GT. 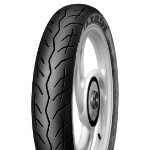 AJP is a Portuguese motorcycle manufacturer established in the year 1987. The company was founded by two brothers, Antonio Pinto and Jorge Pinto in Penafiel, Portugal. During 1981, AJP started as a small motorcycle repair workshop. Gradually, it started manufacturing motorcycles and introduced its very first model – the Ariana 125cc – in the year 1987. AJP also won numerous race titles and championships over the years. Prominent worldwide, AJP motorcycles are built with utmost quality requirements and world-class technology giving its rider the ultimate and pure riding pleasure. AJP currently commercializes its motorcycles in over 25 countries around the world. Under its PR4 series, AJP presents bike models that comprise of AJP 125/240 Enduro, AJP 125/240 Supermoto, AJP 125/240 Enduro Pro and AJP 240 Extreme. 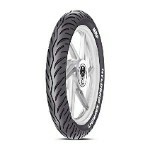 Under its PR5 series, AJP offers AJP 250 Enduro and 250 Extreme variants. 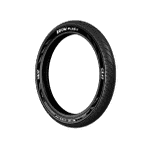 Leading national and international tyre brands that manufacture tyres for AJP bikes are CEAT, Michelin, TVS, Ralco, MRF, Pirelli, and Metzeler etc. 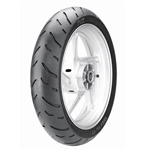 Some of the select tyre patterns that can be installed to your AJP bikes are CEAT Secura Zoom+, Michelin Pilot Sporty, Michelin Scorcher 11, TVS ATT 625, TVS ATT 230, MRF Nylogrip Zapper FX 1, Ralco Blaster Magic, Pirelli Angel City, Metzeler Sportec Street and so on. 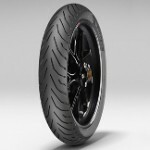 All the tyre variants mentioned above are available to purchase from Tyremarket.com. India’s leading tyre portal, Tyremarket.com facilitates tyre purchase online from the widest range of tyre brands from leading manufacturers. 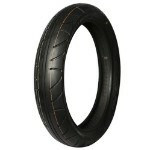 Finding tyres is quite a hassle-free task at Tyremarket.com you can search by brand or by tyre size of your bike. For the complete peace of mind, you can also view the detailed specification of every single tyre, which includes warranty, speed rating, load capacity, and other minute details.